Powerhouse Racing is proud to introduce a great new solution for those needing installing new ring and pinion or differentials into the rear end of Toyota Supra 6Spd rear ends with the 220mm ring gear. When working on a rear end, it is important to get your backlash and preload of the differential at just the right specification. 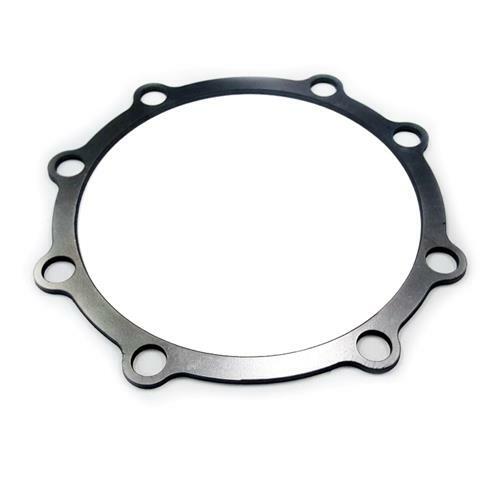 In order to do this, Toyota used to offer a large array of different shim thicknesses that you could order. Using the Toyota shims a tough way to go about doing it because it’s difficult to tell exactly what thickness you would need to make the correct adjustments. Then after making the adjustment on backlash, you would then sometimes have to readjust after setting preload. Needless to say, having a large stock of shims was important if you were doing work on the rear end. Furthermore, you cannot buy the shims anymore. Toyota discontinued these shims worldwide and you can no longer purchase them from any source. PHR’s Peal-Away shim is the solution for those needing to do work on the 220mm rear end. PHR’s Peel-Away shim is a laminate of .002 inch thick sheets of steel. While starting with a thick shim, you peel away layer by layer until you achieve the thickness you need. You no longer have to stock a large amount of shims (which don’t exist anyway). Any job can be done with just two of the PHR peel-away shims. Peeling the layers is simple. Just use a razor blade to slowly peel up a layer (careful not to peel too many layers), and pull that layer away. Clean the glue off with acetone or another mild solvent and remeasure your thickness.